In cooperation with Jenny Holmsten, Piotr Kuklo and Yue Yuan. MY CONTRIBUTION sound design, experience design, research. 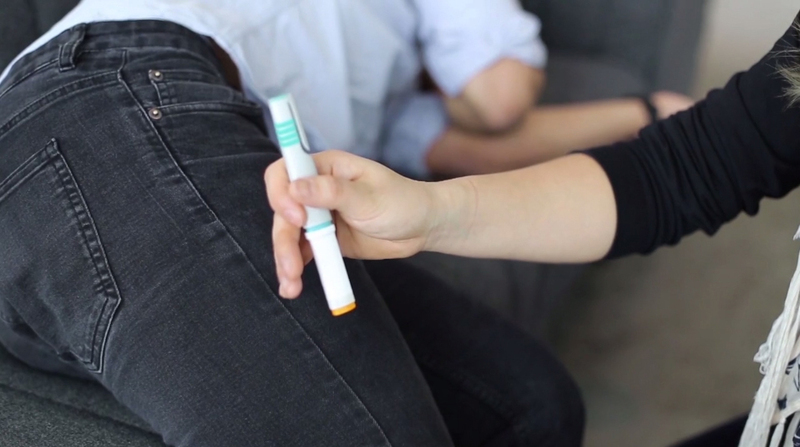 An intuitive Epinephrine auto-injector for patients with severe allergy. Device guides users with sound and light. 0.05–2% of the population is estimated to experience anaphylaxis at some point - it's 73 000 000 people. One of the most common errors is failure to hold the unit in place for at least 10 seconds after triggering. Existing solutions are big - it becomes an issue because users need to have two with them. Existing solutions are difficult to use and terrifying. Users don't know that injection should last 10 sec. Instructions on the pen are overwhelming. It's inconvenient to carry with you two big auto-injectors. Users need to remember to renew auto-injectors each year, even if they haven't been used. Auto-injectors look overly complicated and attract a lot of attention if accidentally seen by others. There is no system in place to make it easier to find auto-injector in case of attack. Existing solutions don't provide clear instruction and it's usually only visual information. Users don't get any feedback on the time injection should last. In the initial research we've explored the possibilities of light and sound guiding user through the process. We also asked users to do card sorting indicating how certain sound affected them. on an emotional level. During the Wizard of Oz research we tested if our solution is understandable without detailed instruction. All of the users who haven't used auto-injector before performed task correctly. Device is ready to use after removing the cap and loading - user gets clear feedback when to start. The sequence of sound and light guides user preventing most common mistake - not keeping self-injector long enough on the tight of the leg. To prevent one of the most common mistakes injector is counting the injection time - 10 seconds. 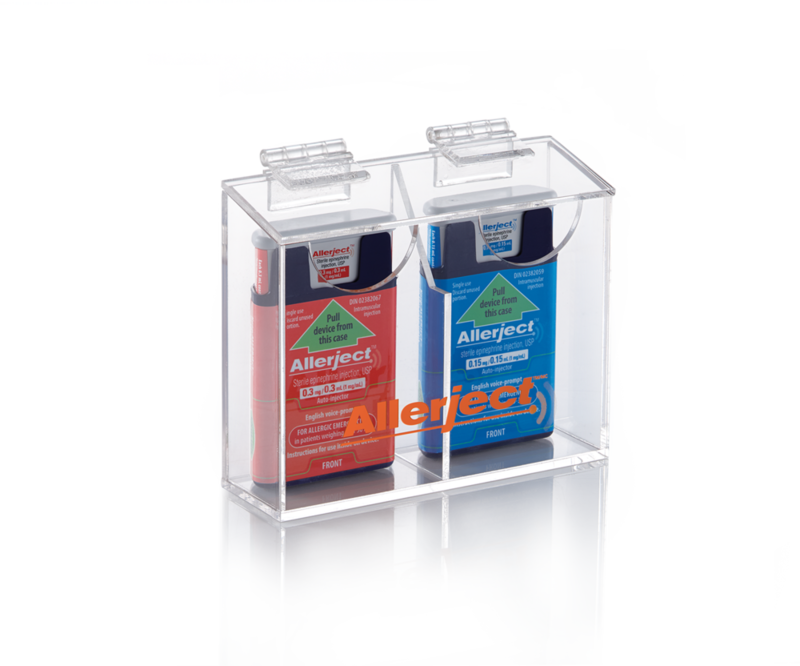 Sleek design and reusable part of the auto-injector allows for a more personal relationship with the device. Since user needs to carry two auto-injectors they can be connected with each other thanks to magnets embedded in the main body of the device. While other solutions on the market are disposable in case of Isa only part with needle and medicine need to be replaced after using it. Easy visual instruction doesn't overload user with unnecessary information. Part with the needle is marked with alerting shade of orange. Pen can be found more easily after triggering sound and light alarm. It can be started from the application or by shaking bag where we keep pen. App additionally reminds about annual renewal of auto-injectors. After the injection app automatically calls the nearest hospital.